These expressions of peace are related because dance is a universal language. 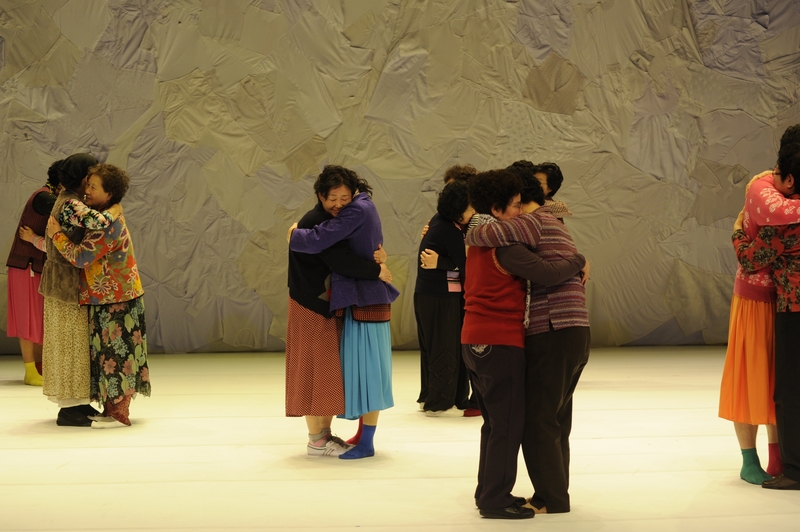 Though in both contexts they are very different, with one working with elderly women in Korea and the other working with Israeli and Palestinian children, it shows how we can solve many different conflicts through the same language of dance. Community building is very imporatnt and particually applicable to the art form of dance. Through dance, one can faciltate the significance about mutual respect for others and that everyone is unique and imporatnt in their own way. Both of these approaches are extremely touching and powerful. It’s beautiful to see children at a young age being able to find and learn compassion though movement and through partner work. Working with partners and in groups enhances the ability to take in another persons emotions. It also stregthens creating a safe space for your partner to trust you. Both of these aspects are great tools for children to carry into their outside lives. And on the other end of the spectrum, it also goes to show you that it’s never to late to find movement. Even after caring for families for years, movement and release of expression can have an interesting way of taking care of YOU! Everyone is a dancer, as long as you are given the opportunity to EXPLORE!